Calling all Dads! Mother's DayIs a great time for flowers and brunch. But what about tomorrow? Next week? It’s rare to find a mom who will turn down the opportunity for an extra bit of appreciation! This year, try encouraging your fourth grader to think about what Mom does in your family (this dovetails with ongoing social studies learning), and how your child might contribute. After all, for many centuries, kids were important economic contributors, milking cows or tending livestock daily! Nowadays, even if you don’t have backyard chickens, your child can land a hand. 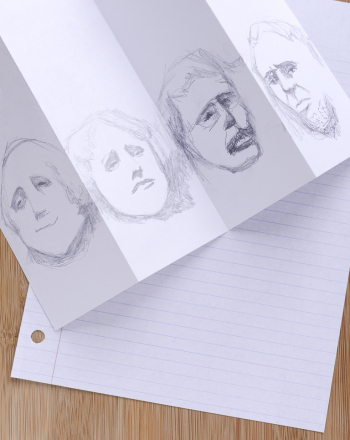 Here's a way to do it that also happens to give your fourth grader some valuable practise in writing. 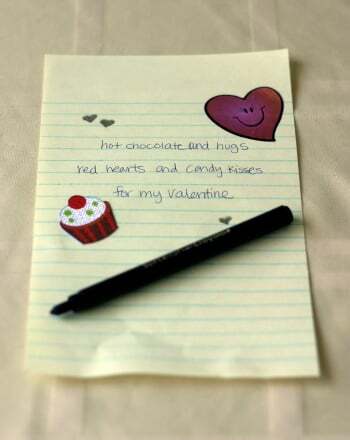 Start with two pieces of card stock, either plain or colored, and use two of them to print out your coupon templates. Cut each sheet into four cards. Now use your imagination: what can your kids do for mom that would really make her day—not just on the holiday but some other time, perhaps, too? Classic favorites include vacuuming, doing dishes, and so on…but don’t forget that hugs can go on a coupon, too; or if you’re in on it, Dad, a family date to the movies or some other treat like that. 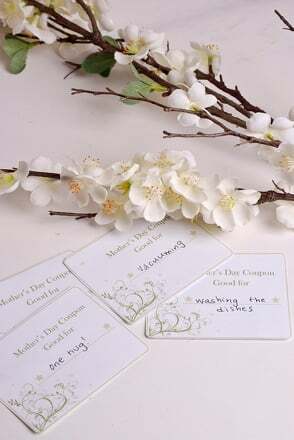 On each card, give your child some writing practise: write the coupon, decorate it…and on the back, write at least one sentence about why your child really wants to do this for Mom! Let’s say, for example, that there’s a coupon for doing dishes. Why? This is a perfect time to thank mom, in vivid detail, for doing such excellent cooking. When your child has finished all eight cards with writing and decoration, cut the remaining sheet of card stock into four sections. Place one on the bottom of the stack of coupons, and place the other on top to make a cover. Decorate the cover, and then put two holes along the side of the cards. Tie pieces of ribbon through each set of holes, to make two bows. Presto! 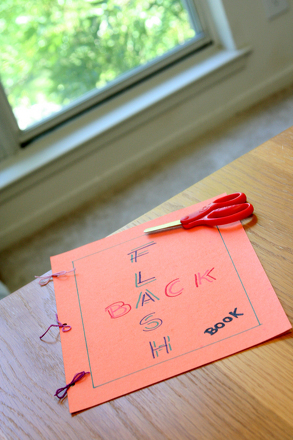 There’s nothing like a homemade gift of love to make Mom’s day—and to nurture your child’s learning while you’re at it! 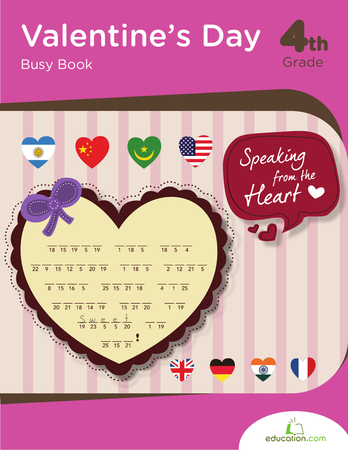 Give your child a fun challenge with this acrostic "mother" poem starter. This composition prompt asks kids to consider one thing they can do and one thing they can stop doing this Earth Day. 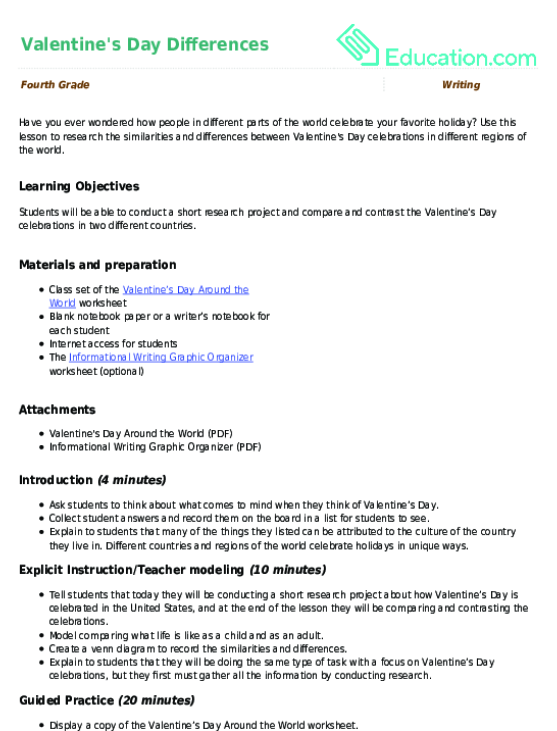 Use this lesson to research the similarities and differences between Valentine's Day celebrations in different regions of the world. Familiarize with the nonfiction genre by thinking about all the nonfiction you read or see each day. 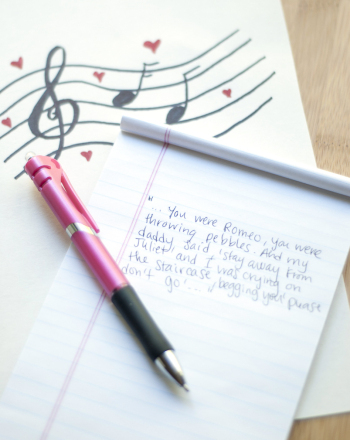 Learn how to write a love song for Valentine's Day and beyond.